The Eric Liddell Story -- Pressure to follow public opinion couldn't get much stronger. National hero Eric Liddell is Scotland's pride and joy. The entire country is eager for their running celebrity to sprint past the rest of the world and bring home Olympic gold in the 100-meter race. But when Eric makes the stunning announcement that he won't race on Sunday because of his religious convictions, he is soon labeled a disgrace and a traitor. See how Eric's famous stand during the 1924 Olympics prepares him for even greater challenges as a missionary to China during World War II. The Gladys Aywlard Story -- With war raging about her and soldiers closing in, the wounded missionary Gladys Aylward (as portrayed in the movie, The Inn of the Sixth Happiness) sets out on the most difficult journey of her life -- a 100-mile trek over the mountains to a safe haven. But it's not her own safety that concerns this little woman with big faith. It's the safety and well being of the 100 orphaned children in her care. Watch as Gladys' strength and faith are stretched to the limit, all for the sake of the children. The Richard Wurmbrand Story -- In war-torn Romania, there is only one way for churches to get the protection of the government: give their support and allegiance to the communists who are in control. Instead, Pastor Richard Wurmbrand chooses to speak up for Christ, thereby placing his own life and the lives of his family in great danger. When Richard’s choice lands him in a communist prison, his faith and witness are tested to the limits. 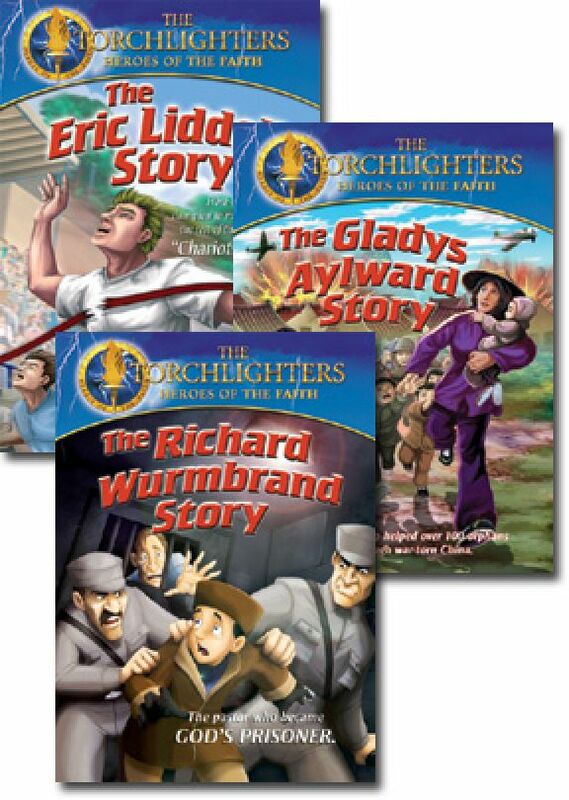 See how this Torchlighter’s amazing story continues to impact the world today. 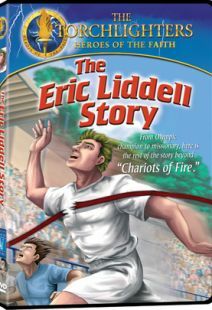 The Eric Liddell story is excellent for youth and children. It shows how one can honor God in sports as well as in missions. It is interesting and very inspirational. 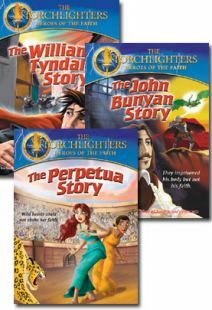 Scott Kemp - Favorite Children's Series! This is my favorite children's series, bar none. I think that my wife and I enjoyed the DVD's as much as the children. Please produce more of these!